يقع مكان الإقامة هذا وسط حدائق مشذبة، ويطل على نهر أوفينز، على بُعد 8 دقائق فقط سيرًا على الأقدام من وسط مدينة برايت. يتوفر مطعم وبار ومسبح في الهواء الطلق لاستمتاع الضيوف. يقع Riverbank Park MOTEL على بعد 15 دقيقة سيرًا على الأقدام من كل من Morses Creek ومستشفى Bright District، ويوفر غرفًا تم تجديدها مع إطلالات على النهر. يقع على بعد 9 دقائق بالسيارة من Porepunkah. يمكن للضيوف الاسترخاء في غرفهم المجهزة بتلفزيون بشاشة مسطحة ومشغل دي في دي ومحمصة وغلاية وثلاجة. وتضم معظم الغرف شرفة توفر إطلالات جميلة على الحديقة. Avoid room 24 as the A/C is very noisy. 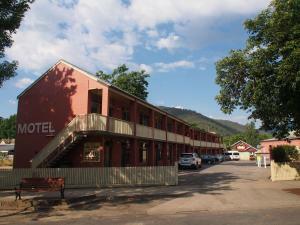 This motel is nice and close to town, either a short walk along the river or by main road. The staff were friendly, with views to the river and lovely garden to sit in. We had a river view downstairs room that opened on to the lawn. 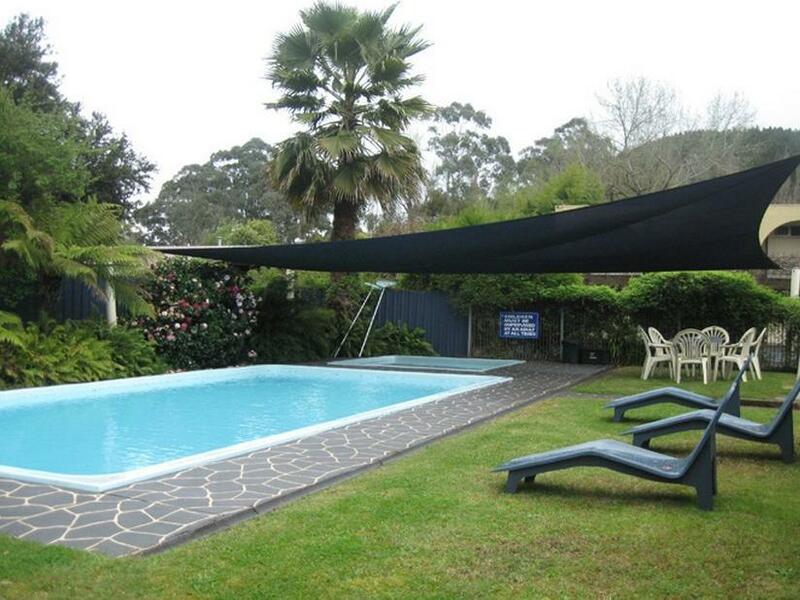 Terrific in summer, tables and chairs as well as BBQs within easy access, no mossies! Room was basic, bed comfy, couch and chairs had seen better days, a bit grotty, but overall the room was clean, newly refurbished shower and toilet and a small fridge. Staff were friendly and helpful. This is not the first time that I have stayed at this motel. This is the first time that I have had a downstairs unit, I would not recommend it. Once again the mini bar was empty - why bother offering it if there's nothing in the fridge? The soap is liquid and served from a bottle bolted to the wall, so if you're old fashioned like me, take a bar of soap. That being said, the river view rooms are quite nice and there is no shortage of parking. River frontage. 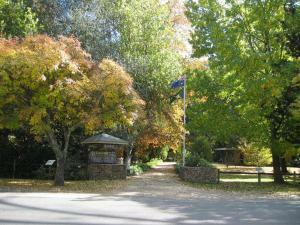 Quiet location, very short walk to restutants and brewery. Simple but good quality rooms. Wifi advertised but wasn't available. Restaurant on site was not functioning. The River running and gurgling all night. The absolute rivers edge location. The amazing and caring host and hostess. Great, we were thrilled to find that the advertised location was in fact truely as it said it would be, on the River. The the walking path to the town and all along both sides of the River was "a find". The town of Bright is a hidden gem to say the least and the motel is part of that gem. It rained for our entire stay in Bright and the Riverbank Park Motel was not in anyway diminished because of it, we would return in a flash. In Summe i.o., sehr schöne Lage, Einrichtung ist etwas in die Jahre gekommen, Besitzer sehr freundlich.